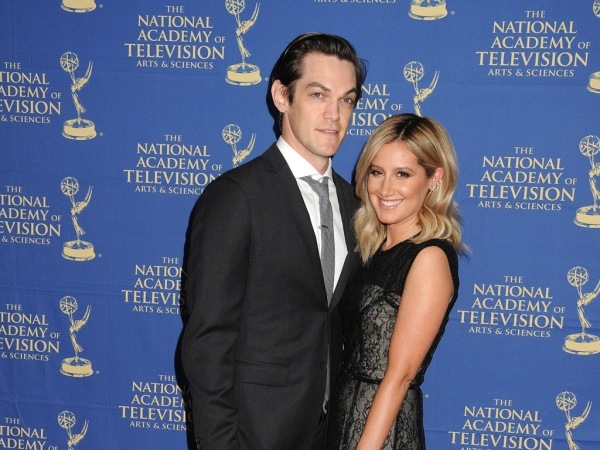 Ashley Tisdale says husband Christopher French “changed my life forever”. The former High School Musical star wed the singer back in September. And in a touching post on Instagram marking the Thanksgiving holiday, Ashley paid tribute to her spouse and thanked him for entering her life. “I have so many things to be thankful for,” Ashley wrote. “Especially the man that changed my life forever, my husband.” Ashley and Christopher started dating in 2012, before getting engaged in 2013 and tying the knot in Santa Barbara in September. The 29-year-old actress also remembered her late Aunt Peggy, who died in March this year, in the Thanksgiving post. “My amazing family, even though my aunt isn't here with us this year I feel her presence all around us,” Ashley continued. Ashley also took the opportunity in her Thanksgiving message to thank her loyal fanbase. She added that they have a lot to look forward to in the coming months. Ashley recently signed up to star in upcoming series Buzzy’s, which tells the story of a group of high school students who find themselves reunited as they work together in a barbershop.